It means you’ve ascertained that someone has good judgment and that you trust him or her to make good decisions consistently. As a result, you delegate responsibility to make certain, specific decisions on a regular basis. And, as part of the delegation, you acknowledge openly that you are prepared to accept (and support) the decisions that he or she makes. 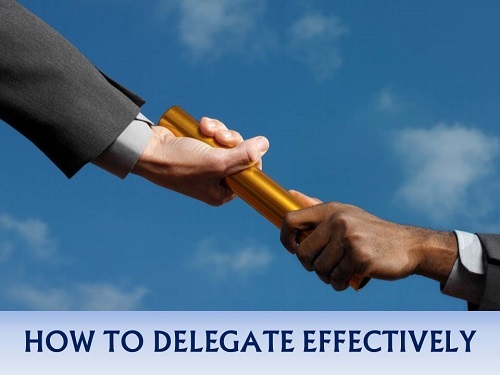 Delegation is the key to building the management capacity of the organization. It’s what enables senior management to focus on longer-range issues while assuring that shorter-term, more tactical decisions are being made well. The short answer is: no. Delegation is a subtle art. There are different levels of delegated decisions – and each level carries its own set of expectations and protocols. It is very helpful to distinguish between different levels and to gain a vocabulary to help you communicate clearly to others. Consultative Decision: You take the initiative and make decisions. For example, you take initiative and decide the size and scope of the organization’s annual budget. You most likely consult with many different people in the process. But ultimately, you are the driver of the process and the maker of the decision. Level A Delegated Decision: This is the first level of delegation. You have the authority to make a given decision, but you choose to delegate the responsibility and ask someone else to take the initiative and bring recommendations to you for approval. Using the budget example, you might delegate the responsibility to the Division heads to recommend their Division budgets. Level C Delegated Decision: You delegate responsibility to take action on certain matters, without the need to notify you. You might make this kind of delegation with regard to changes in Division budgets under $50K. The flow of a delegated decision can cascade several levels down. For example, the CEO will likely retain certain responsibilities regarding the annual budget and delegate other decisions down. Division managers will in turn make certain delegations to the next level of Branch managers. The important thing is to spell out and define this flow in writing, so that people can use a well-understood process to consistently make sound decisions. First, in any type of delegated decision, it’s a good idea to consult with your boss if he or she will be affected by the decision or has valuable knowledge to impart. This doesn’t change the delegation. It is simply the smart way to manage “up.” Of course, if your boss can overrule your decision, then it may not be a real delegation, but a “faux” delegation. Second, the level of delegation can change during the course of a decision, especially if there’s a change in circumstances. Let’s say you are delegated Level B responsibility to hire for a certain job. Then you learn that the owner’s son has decided to apply. That may render it a Level A delegation. It’s up to you to bring these changes in circumstance to your boss so he or she can decide whether to change the level of delegation. Changes in program direction or work plan that have significant impact on service levels or quality (for both internal and external customers). Changes in program direction or quality that have no discernible impact on service levels or quality (for both internal and external customers). Changes in program direction or work plan that have no discernible impact on service levels or quality (for both internal and external customers). One could expand this table to show additional layers of delegation, so long as you specified each area of delegated responsibility and the appropriate level of delegation.